The daily operations of the Piqua City Schools includes support to students and staff , assuring there is an inviting, effective and efficient learning environment by food service, transportation, custodial and maintenance, aides, clerical, office and technology staff. Technology is available throughout the district--in classrooms, library/media centers, labs, offices and support areas. The 2,000+ computers and support software enhance learning and operations for students, teachers, administrators and support staff. A recent initiative is a keyboarding program for elementary students so they master the necessary skills to make effective use of technology. For additional information regarding the Technology Department of the Piqua City Schools, please contact Director Erich Heidenreich at 937-773-4321, extension 6311. Please download the Conservation Guidelines included here, to see how Piqua City Schools is working to save energy and save dollars, throughout the district. Breakfast and lunch are available to all students in the Piqua City Schools as part of the National School Lunch Program. Meals are well-balanced and include all food groups: meat, bread, fruits and vegetables, and milk. Menus are designed to meet one third of the Recommended Daily Allowance. School menus are available on our website. All schools use a computer debit system. (There are no meal tickets.) Money is deposited for breakfast, lunch and ala carte items in each student's account. The price of the meal is deducted from the account as the student goes through the line. Students use their student numbers to access their accounts. Bus routes, times and pickup-dropoff locations are announced in mid-August, posted on the front door of each school and noted on the PHS class schedules for high school students. We provide guidelines below (scroll down) to help parents and child care providers understand the procedures and policies that are necessary to manage a safe and cost-effective transportation system. Buses pick up and drop off students inside the assigned school attendance areas only. If your child care provider lives within your school attendance area, you must request alternate pickup and dropoff addresses for the school year. Please feel free to contact Beth Cain, Transportation Supervisor, at 773-1560, Monday through Friday, 8 AM to 4 PM for any additional information. Bus routes are based on a singular pickup and dropoff point, five days per week. An alternate transportation request will be granted on the availability of seating, location of the child care provider, and approval of the Transportation Supervisor. Requests will be considered on an individual basis. A request for alternate transportation cannot be guaranteed. School bus safety is our primary concern. 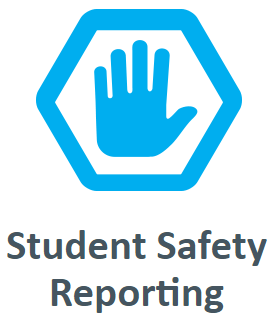 We ask that parents stress to their children the importance of following the safety rules while boarding, riding and exiting the bus. Students should arrive at the bus stop five minutes before departure time. The bus routes are on a very close time schedule and the driver must leave at the designated time. Students transported by school bus must comply with the student disciplinary code of conduct. Transportation is a privilege which may be revoked for serious or repeated violations of safety rules. 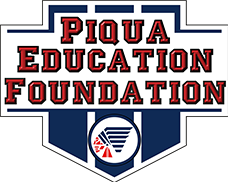 Priority will be given to Piqua City School events. Facility Usage Agreements are not required for school activities, which must be scheduled through the building principal or designee. A Facility Usage Agreement is necessary when a group or organization wants to use school facilities, assuring the Superintendent (or designee) that the group/organization complies with all regulations and respects the property, equipment and grounds of the school. Arrangements to use special equipment must be made with the district's Business Coordinator at the same time the Facility Usage Application is filed. Specific events may require security and/or parking attendants. It is recommended that groups or organizations file for use at least 30 days prior to the date of the proposed use. Details of the use, including special custodial or kitchen help, is arranged by the Business Coordinator, who also checks district/school calendars for possible conflicts in usage. For further information or to request a Facility Usage Agreement form, please contact Martha Lyons at 937-773-4321, extension 6401.